We’ve been promised a flying car for as long as I can remember. From The Jetsons to Back To The Future, we’ve been sold this dream for years and years. Owning something that starts out on the ground and ends up flying through the air is something I want to experience before I kick the bucket. 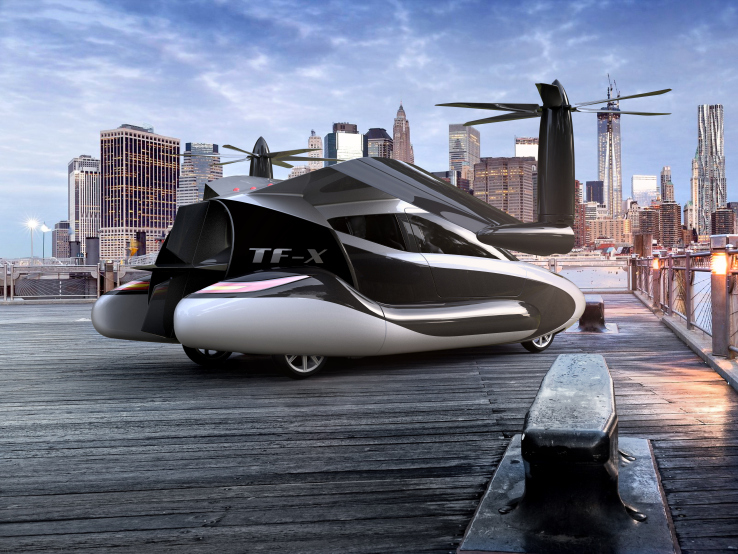 A Woburn, Mass., based company called Terrafugia is one of the many companies trying to bring this dream to reality, and its latest model, the TF-X, would melt my brain. The Amazing Flying Car TF-X™ | The Future Transportation! It’s expected to hit the market in 2021.